The day had finally come. Mike McCarthy is no longer the Head Coach of the Green Bay Packers. 13 years is a long time to be in one job. In professional football, 13 years is an eternity. McCarthy did not become a bad coach overnight. Just like with players, sometimes a change in scenery is best for both parties. There is plenty of time to look back on the McCarty years, as he will certainly be in the Packer Hall of Fame one day. As soon as the news came down of his firing, speculation had already started on who will be the next head coach of the Green Bay Packers. Saying this is an extremely important decision for Mark Murphy is an understatement. Yes, I said Mark Murphy. He will be the man that makes the job offer to the next head coach. 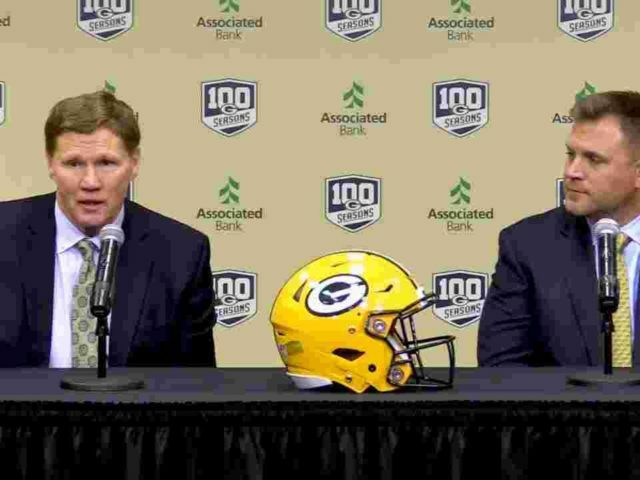 During his Monday press conference, Murphy emphasized that he will have final say on the coach and General Manager Brian Gutekunst will be involved in the process. Either way, this is a decision that Murphy has to get right. No matter who the Packers choose as their next head coach, that person will have to gel with Aaron Rogers. They will be responsible for maximizing the remaining years of Aaron Rodgers career. 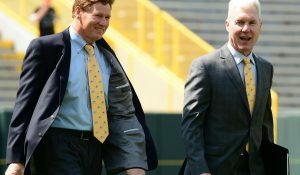 Names of who Packer fans would like to see coach the Green and Gold have ranged from Bruce Arians to former Packers Hall of Fame quarterback Brett Favre to bringing back Mike Holmgren. 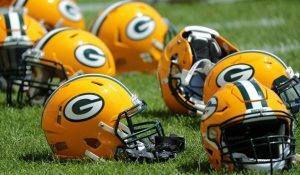 The Green Bay Packers will be searching for a coach that will bring a fresh cutting-edge offense that will rejuvenate Aaron Rodgers. Murphy will look at assistant coaches, college coaches, and former head coaches to find the right guy to bring the Lombardi Trophy home. The top three early candidates are below. It is being reported that a handful of assistant coaches around the NFL have already shown interest in joining a Josh McDaniels coaching staff in Green Bay. Las Vegas currently has McDaniels as the odds-on favorite to land the vacant head coaching position. McDaniels is currently the New England Patriots offensive coordinator. Last off-season he was scheduled to be the next head coach of the Indianapolis Colts but rejected them to remain offensive coordinator in New England. He has previous head coaching experience when he was with the Denver Broncos from 2009-2010. The stint didn’t go as planned and he returned to the Patriots. McDaniels has had plenty of success coaching a hall of fame quarterback in Tom Brady. He has the ability to be innovative on offense to generate the maximum potential from his players. The current Oklahoma Head Coach is the hottest name in college right now. He is regarded as an offensive mastermind. Riley has stated that he has no interest in leaving Oklahoma for a head coaching position in the NFL. Could coaching a hall of fame quarterback in Aaron Rodgers change his mind? It could. His offenses have been very creative and can put up points in bunches. The big question here is, how will Aaron Rodgers respond to him? Will he be able to mesh with Rodgers and will his offense translate to the NFL? It is definitely worth a conversation with the guy that hailed as the next Sean McVay. DeFilippo is the current Vikings’ offensive coordinator. He has familiarity with the Packers having coached against them. He interviewed for the Chicago Bears opening last off-season, which eventually went to Matt Nagy. DeFilippo was the offensive coordinator in Cleveland in 2015 when Packers defensive coordinator Mike Pettine was the head coach. With that familiarity, he may be inclined to keep Mike Pettine as defensive coordinator. Before being the Vikings’ offensive coordinator, he was the Philadelphia Eagles quarterback coach during the Super Bowl run in 2017. DeFilippo is a bright offensive coordinator and is highly regarded within NFL circles. His offense has sputtered in Minnesota, but that doesn’t mean his offense wouldn’t excel with Rodgers leading the charge. It will be interesting to see if the Packers interview someone in the division. 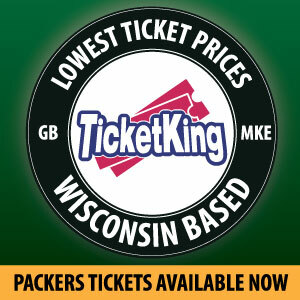 There are many candidates available for the Packers to consider interviewing. They definitely should take their time and look at as many candidates as possible. This is an important hire and one that Murphy must get right. This entry was posted in Anthony Haag, Packers 2018-2019 Season and tagged 2018 Green Bay Packers, Aaron Rodgers Mike McCarthy relationship, Brian Gutekunst, Green Bay Packers, mark murphy, mike mccarthy. Bookmark the permalink. Murphy shouldn’t be anywhere near this decision. Hey Mark, LET YOUR GM BE A GM. McDaniels would be perfect except that he failed horribly before and none of Belichicks assistants have done squat as NFL head coaches. Oh, and the next HC is going to have to transition to the post-Rodgers era, not just try to keep him playing well until he’s 40. 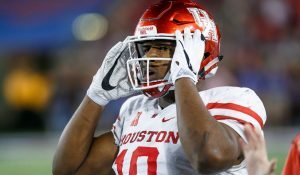 Get a college HC and use our first pick on our next QB. Put the Mooch back in Green Bay! Murphy’s last hire wasn’t so bad. As Athletic Director at Northwestern he chose Pat Fitzgerald. Make no mistake. Mark Murphy is no Jerry Jones.